Looking for a few recommendations to make the most out of your time in Litchfield? Check out our list of the Top 10 best things to do in Litchfield. And don’t stop here – when you’ve finished with this list, head over to Things to Do for even more Litchfield fun. 1. Have Breakfast at Jubelt’s Bakery & Restaurant. 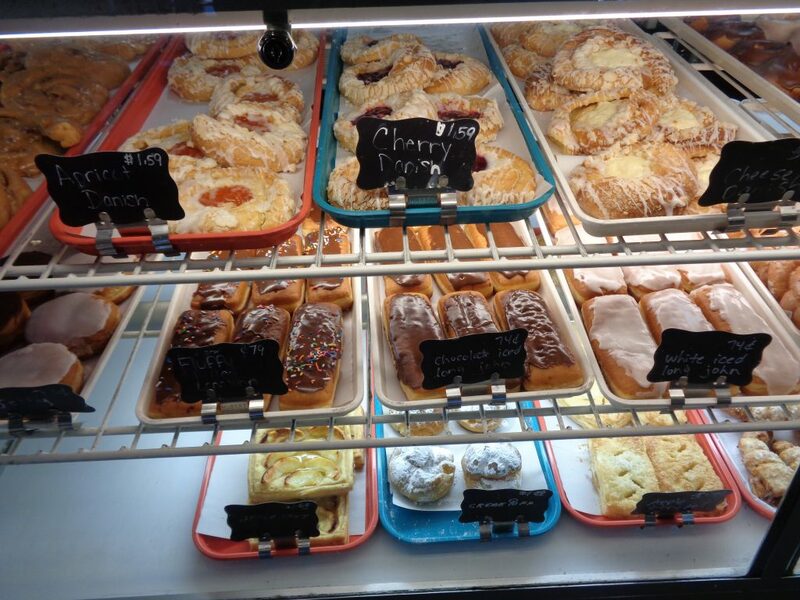 Start your day (or continue it) with a pastry or hearty meal at Jubelt’s Bakery & Restaurant. Operating since 1922, Jubelt’s offers an extensive menu of sandwiches, salads, omelets’, burgers, waffles and other classic American fare. Don’t forget to grab a fresh cup of joe and try their best-selling Tea Cookie while you’re there. 2. Walk Shoal Creek Conservation Area. Shoal Creek Conservation Area offers 266 acres of woodland trails, prairie barrens, deep ravines and ridge-tops for exploration. 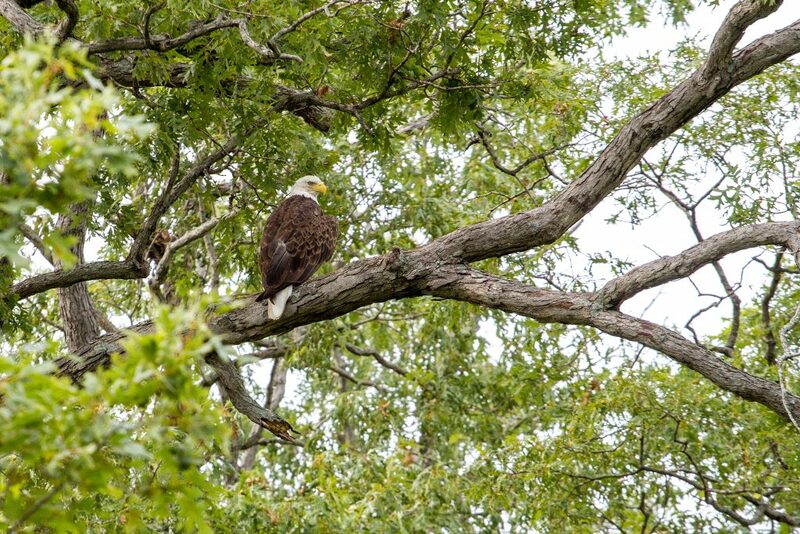 Make sure to pack your binoculars to get the best view of the over 700 plant species, 70 kinds of butterflies and 74 species of birds that call Shoal Creek home. If you are looking for a hike that is a little more taxing, try the Route 66 Hike & Bike Trail. 3. Visit the Litchfield Museum & Route 66 Welcome Center. 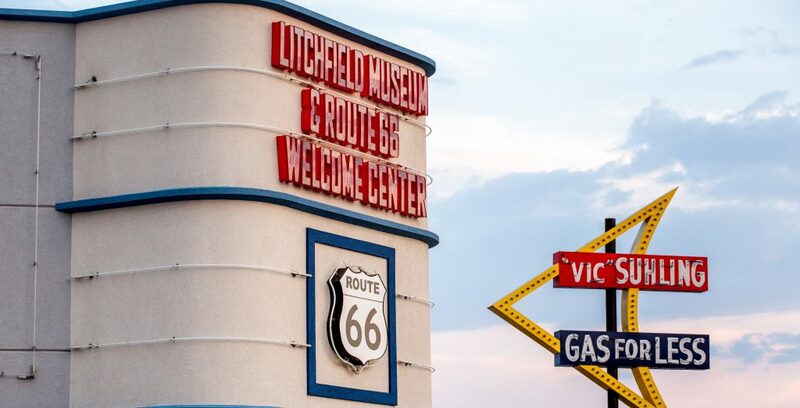 See where Litchfield gets its kicks at: stop at the FREE (yes, we know you like free, and so do we) Litchfield Museum & Route 66 Welcome Center. The Museum hosts an eclectic range of artifacts from Litchfield and Route 66 history – including an original Route 66 road sign. Stop by for some Mother Road nostalgia and a fun-filled walk down memory lane. While you are here, other Route 66 attractions are within a short walk. 4. Boat, Fish, or Swim at Lake Lou Yaeger. 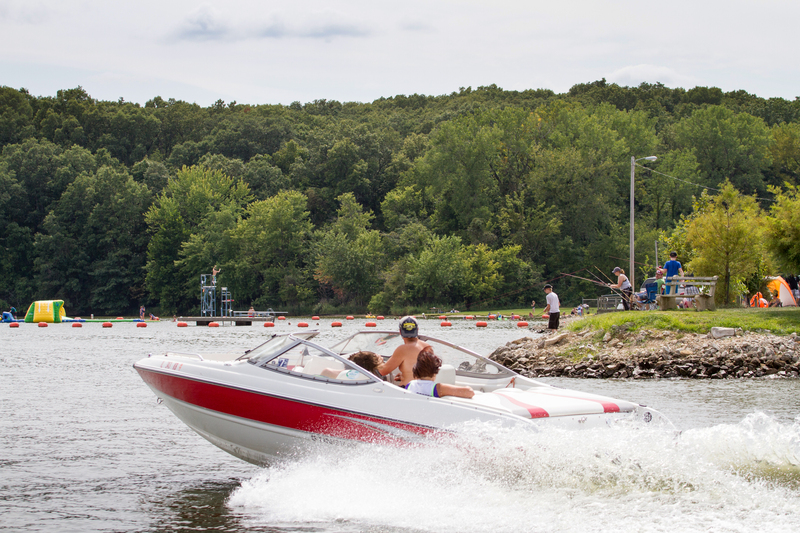 Affectionately known as ‘The Lou’, Lake Lou Yaeger is 1400-acres of aquatic fun! Go boating, fishing, swimming, and water skiing on the lake, or simply enjoy a walk along the quiet shoreline. The Lou also features Milnot Beach, a large sandy beach with diving platforms, a snack bar and free parking. The various Campgrounds offer RV hookups, tent camping sites, and camping cabins for rent. Have a Yaeger Day at Lake Lou! 5. Grab a Piece of Pie at the Ariston Café. 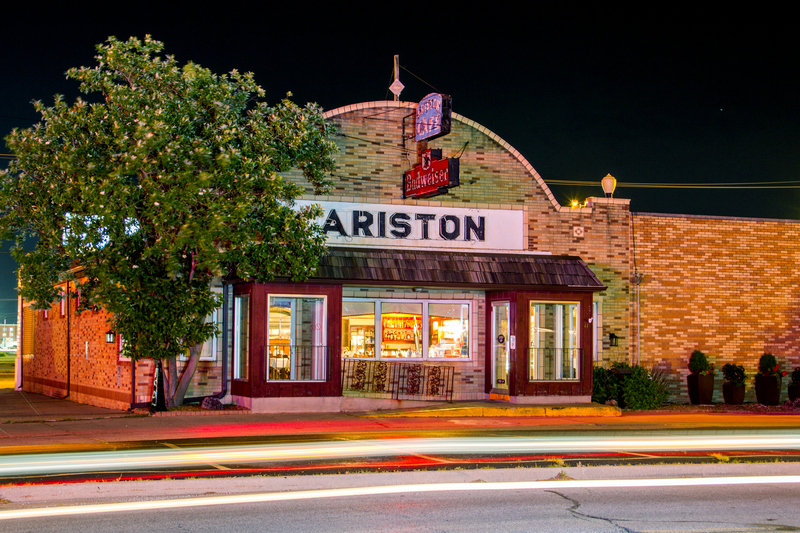 Stop for a bite at Ariston Café, the oldest continuously operated restaurant along Route 66. You’ll find all your Midwestern favorites along with a few Greek touches – a nod to the café’s founder, Pete Adam, a Greek immigrant. The one thing not to miss? Ariston’s iconic giant dessert tray! Diets beware. 6. Attend a Litchfield Pickers Market and Visit the Shops in Downtown Litchfield. 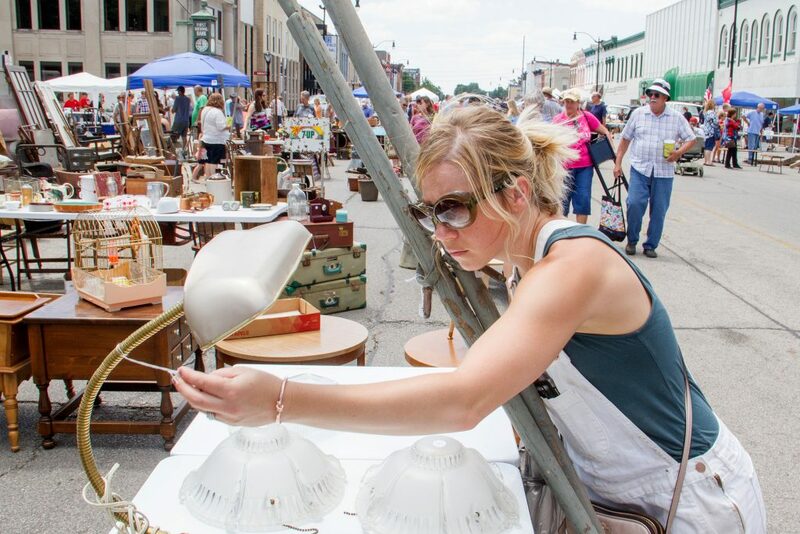 Held every second Sunday April through October, the Litchfield Picker’s Market is an open-air market specializing in pre-1980 vintage, antique, and collectible items. The largest open-air market in the region, the Litchfield Picker’s Market has a little something for everyone. With plenty of food and live entertainment to enjoy while browsing the booths, you are sure to have a great day in Downtown Litchfield. Downtown Litchfield is also home to an eclectic mix of boutiques, resale, and antique shops. Pick up everything from local homewares to clothing, jewelry, art, and accessories. 7. View the Architecture of Litchfield’s Carnegie Library. 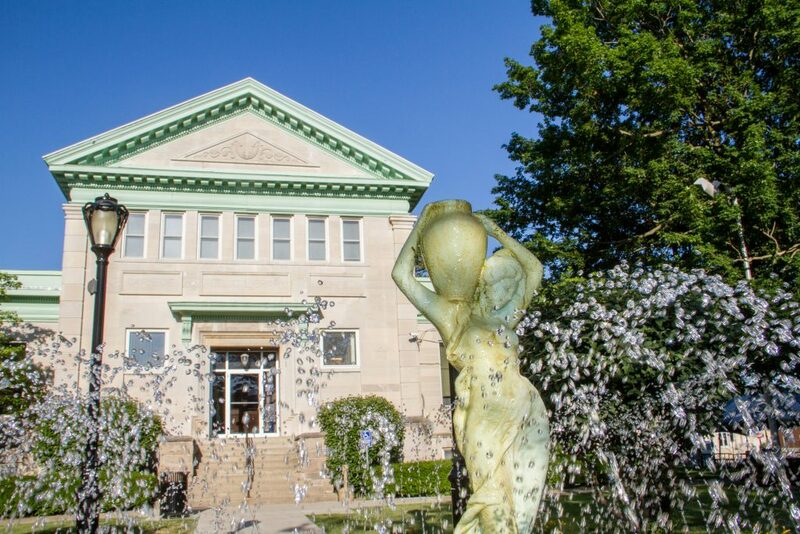 Located in downtown Litchfield, the Litchfield Carnegie Library Building is a City staple and was funded by industrialist and notable philanthropist Andrew Carnegie. Opened in 1904, the library building was designed by architect Paul Moratz in the Classical Revival style. The Litchfield Carnegie Library Building was added to the National Historic Register in 1999. While you are here relax by the fountain in the park, view the Veteran’s Memorial Garden, or marvel at the stone architecture of this Litchfield landmark. 8. 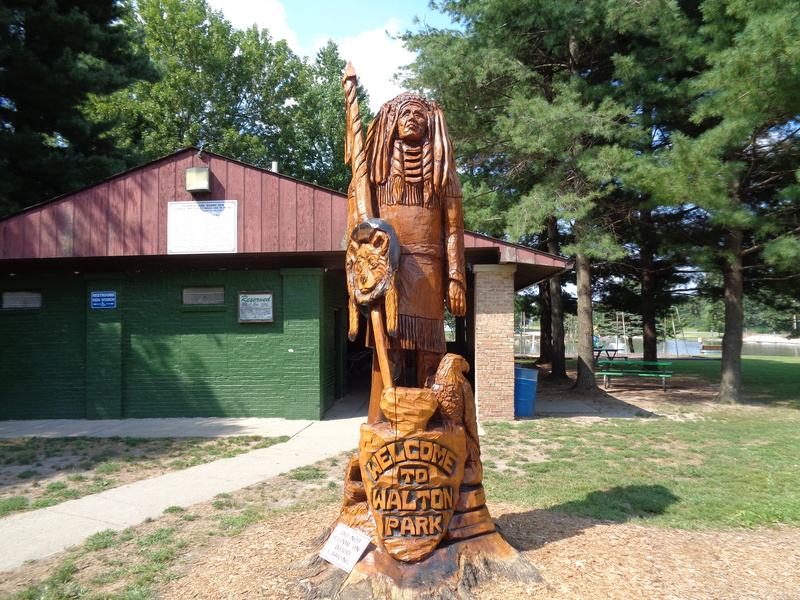 Find the Native American Sculpture at Walton Park. Historic Walton Park is a great place for a picnic, a round of catch, a walk or anything else you like to get up to outdoors. Featuring baseball fields, an archery range, a bandstand and a lake, Walton Park is perfect for a day of family fun. Keep your eyes open for the Native American sculpture near the pavilion! 9. Get a Little Muddy in the Big Dawg Dare. 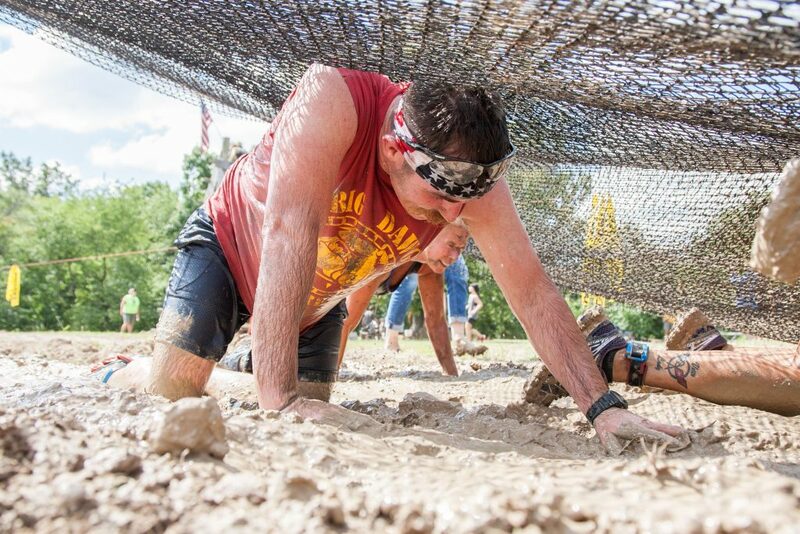 If you find yourself on Litchfield soil in the summer, you might want to consider signing up for the Big Dawg Dare – a 5k mud and obstacle run held at Wolff Farms. Prepare for mud, mud, and more mud as you slide down a 50-foot water slide, trek through Illinois woodlands, and climb over, under, and all around obstacles. Sound like a little too much dare for your first time around? Check out the 2k Puppy Dawg Dare for beginners ages 10 and up, or try another one of Litchfield’s races like the 5K Freedom Fun Run or the Litchfield TriathLou. Still don’t see what you are looking for? Check out our Calendar of Events. 10. Watch a Double Feature at the Litchfield Skyview Drive-In. 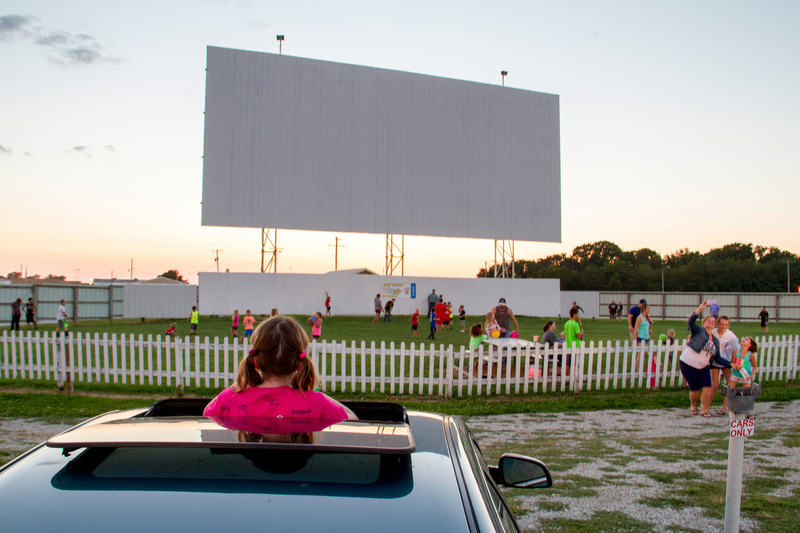 Finish off your day by catching a movie (or two) at the Sky View Drive-In theater in Litchfield. The oldest continuously operating drive-in on all of Historic Route 66. The Skyview opened its doors in 1950, and it’s been going strong ever since. Chow down on classic American fare like chili dogs and popcorn, while you cozy up in the car to the latest blockbusters or a few of the classics. The theater is open from April to Mid-October.